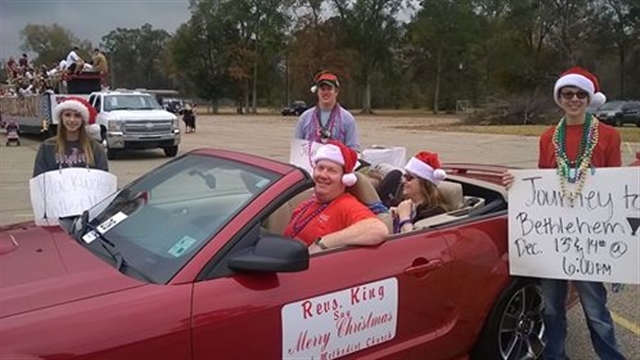 United Methodists were out in full force for the 28th annual “Christmas in Central” parade held Dec. 6. 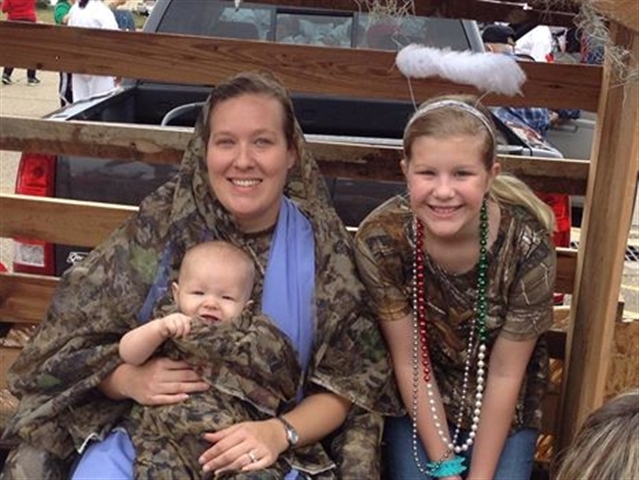 “Camo-wearing” members of Magnolia United Methodist Church in Greenwell Springs decorated and rode in a float themed “A Cajun Christmas.” A very happy “Mary,” “Baby Jesus” and angel “Gabriel” are pictured having a great time during the event. Blackwater UMC in Baker was also represented with Rev. Jonathan King, a member of the pastoral team, driving this “very cool” red convertible. Being chauffeured by her spouse Jonathan is Rev. Jaqueline King, pastor of First United Methodist Church in Denham Springs.